The other aim of yoga, in addition to seeing through the false concept of being a separate doer-entity described in my previous post, is to remove compulsive desires. When these have been removed, the result is peace of mind which in turn leads to the ending of suffering and moksha (freedom, liberation). We could classify desires into two types, compulsive and non-compulsive. Compulsive desires are ones that you feel compelled to enact. Your happiness depends upon fulfilling these desires. Non-compulsive desires are ones which you could take or leave. While you may enjoy the consequences of acting out and fulfilling a non-compulsive desire, your sense of happiness and wellbeing does not depend on it. You could call non-compulsive desires preferences. When a compulsive desire is not fulfilled, suffering is the result. When a non-compulsive desire is not fulfilled, it’s ok. You may have wanted it to pan out a certain way, but it’s fine that it didn’t happen the way you wanted it to. When compulsive desires have been rooted out, our happiness no longer depends on objects, and the mind becomes peaceful (sattvic). Perform actions, Dhananjaya [Arjuna], giving up attachment, be steadfast in yoga, be equal in success and failure. This evenness of mind is called yoga. So in summary, what is the essence of yoga? Well according to the Bhagavad Gita, yoga essentially means ‘evenness of mind’, or as I put it, not minding what happens. Practice of this leads to having a peaceful (sattvic) mind. All forms of yoga have this sattva and peace as their aim, with the exact methods and mechanisms varying depending on the type of yoga. 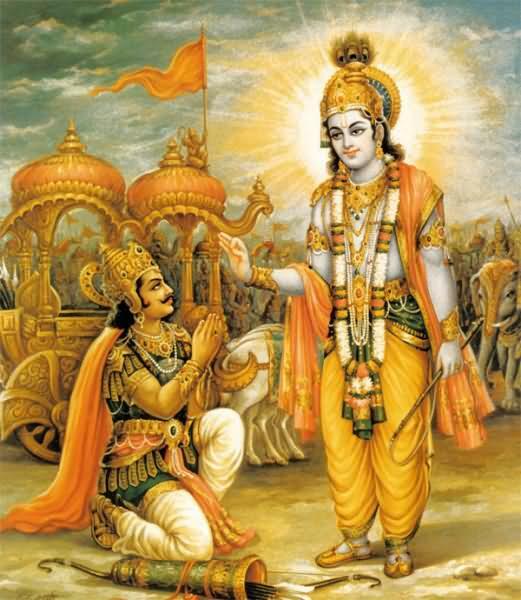 Lord Krishna states this is his most secret teaching: to love Him, to devote ourselves to Him, to be with Him knowingly. He is already in each of our hearts, He is already everywhere and everything, everything is already done by Him. Here knowledge, scripture and philosophy all crumble as, through our devotion, the heart opens. All are consumed by Him, and all we are left with is Him in all His glory. We never were. All there ever was was Him. 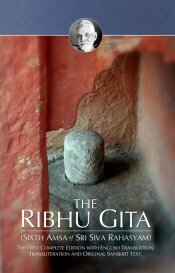 Listen and read the Song of Ribhu. Let the words wash over you. These words are not to be analysed and contemplated; they are to sink into your bones and marrow and stir that Ancient Knowing that is already there within you. Read, chant, have faith (let go into presence) and be free! 1. Ribhu: Listen again the the supreme knowledge that confers liberation immediately. All is Brahman alone, always. All is tranquility – there is no doubt.